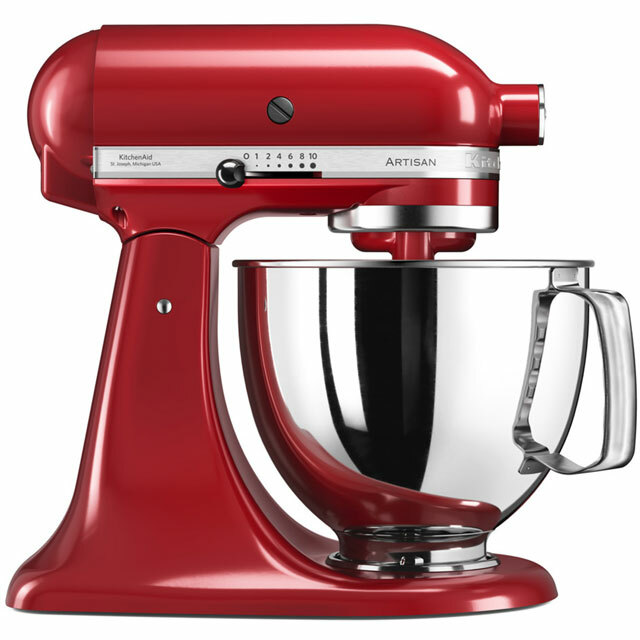 Dust off your apron and have your rolling pin at the ready with this empire red food mixer from KitchenAid. 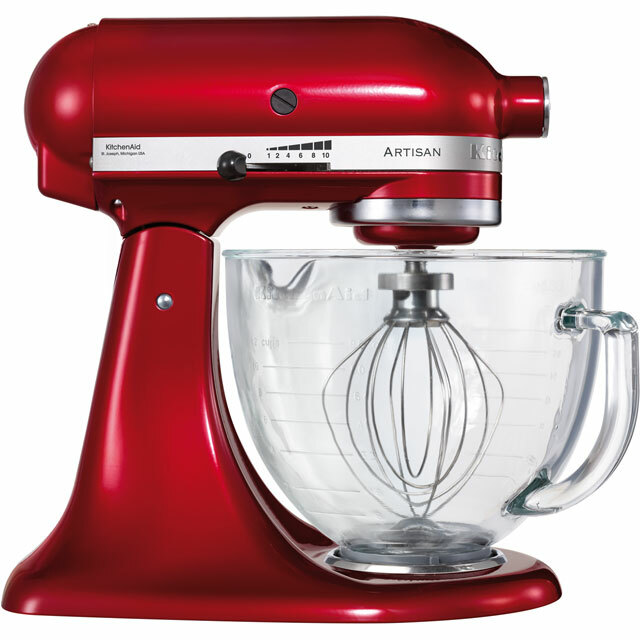 With its 300 Watt power output, it can tackle everything from light frosting to heavy dough. It comes with 7 accessories to choose from, so you can prepare thick batter, creamy mash and everything in between. Your measurements will always be spot on too, as the Planetary Mixing Action reaches every inch of the bowl to make sure no ingredients go to waste. The direct drive motor makes it quiet to use, and the bowl and attachments are all dishwasher safe for a speedy clean up. With a direct drive motor, not only is this model quiet, but it’s efficient and durable too. By directing its power straight to the attachment you’re using, it can combine large batters and mixes just as easily as smaller batches. So, whether you’re up early to make a fresh loaf of bread, or to prepare the icing for a birthday cake, you’ll always get unbeatable results without the noise that’ll wake everyone else. Thanks to planetary mixing action, your ingredients will always be thoroughly combined. Whether you’re using a whisk or beater, the attachment will move around the bowl in one direction while the shaft moves the other way. This means that the accessory will have contact with more parts of the bowl, so it’ll pick up every bit of flour and sugar while mixing them more thoroughly. This stops ingredients going to waste, as well as giving results that are out of this world. This mixer has a variety of tools to make any cooking task effortless. The wire whisk prepares eggs in no time, while the pouring shield helps you add extra ingredients without splashes. And, for finishing a cake mix, or the icing for it, you’ll find the flat and flex edge beaters really useful too. It also comes with a dough hook, bowl and mini bowl. So, whatever you’re creating, you’ll always have the best tool for the job. I've now used this mixer a couple of times and so far I love it! The only issue is that it's hard to clean the beater when it's covered in cake mix, but that's a small thing really compared to how well mixed the batter is. 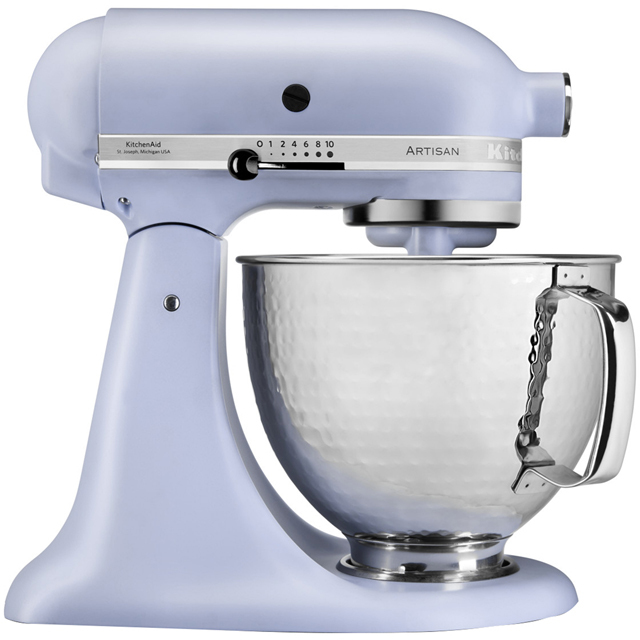 It's lovely and quiet too compared to most stand mixers I've come across. My mum bakes and also went on about a new mixer. I got this for her and she says it’s the best gift ever. She says it quiet and does a great job. * 5KSM175PSBER_ERD was at the higher price between 21/03/2019 and 18/04/2019.